If the chair you sit on at work is too low your hands will be placed in a position that stresses the area of the carpal tunnel. A chiropractor can get good results when working with patients who have carpal tunnel syndrome. If your computer screen or television is too high, you will be forced to extend your neck in a way that stresses the muscles, ligaments, tendons, and vertebral structures. A chiropractor can use neck adjustments to ease your pain and help you understand better ergonomics. If you are having constant knee or hip issues, your chiropractor, Dr. Dahlager, will examine your feet and legs to discover whether or not there is a biomechanical problem that is causing or contributing to the problem. He may find that flat feet and over pronation during walking are the root causes, and offer orthotic and chiropractic treatments. Just as a chiropractor treats carpal tunnel syndrome and biomechanical issues with the feet and knees, he also can do a thorough evaluation of the bowed legs to determine what could be done for it. A 2014 study published in the medical journal Technology & Health Care examined what a chiropractor for someone with bowed legs. First there would be a careful biomechanical examination of the left and right legs, searching especially for the range of motion. The chiropractor would be on the alert for different ranges of motion on each leg. Biomechanical and orthopedic tests would be performed. The chiropractor might potentially find that there is a restriction of movement based on an underlying joint condition. Or it may possibly be the result of muscle imbalance and joint restriction. These two things are something that your chiropractor, Dr. Dahlager can work with. 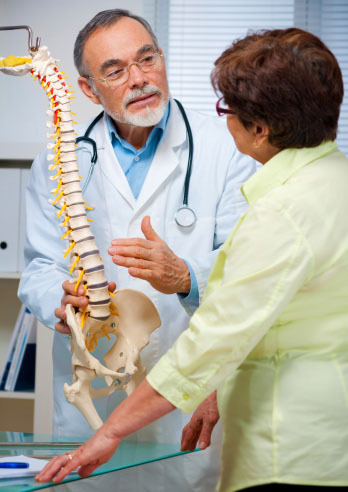 So whatever musculoskeletal issue you are experiencing, call our office in Noblesville, IN for a consultation today. It could be the start of something life transforming. Kwon, B.A., Lee, M.S., Park, J.K., Thor Choi, S.Y. Chiropractic approach on genu varum. Technol Health Care 2014 Jan 1; 22 (3): 325-31.